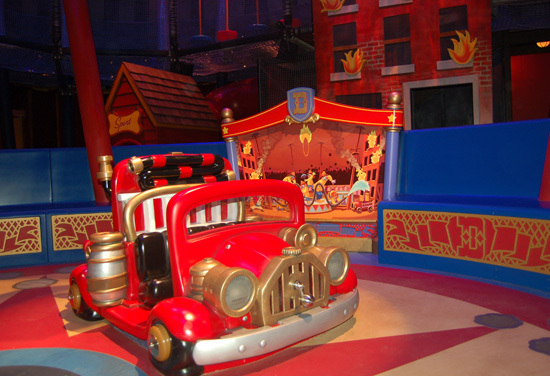 Walt Disney Imagineering just shared new details with the Disney Parks Blog about the new interactive queue area that will open at the big top tent at Dumbo the Flying Elephant in New Fantasyland this July. This innovative queue area will completely redefine what it means for guests to prepare for a Disney attraction. Here’s how it will work: Guests arrive at Dumbo’s big top and receive a circus ticket pager that virtually holds their place and notifies them when it’s their turn to board the attraction. 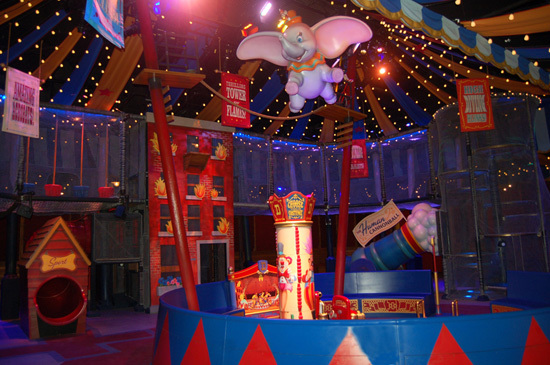 Kids (and kids of all ages) can then become part of the show inside the tent by enjoying circus-themed play experiences, while Dumbo flies high above. Here are some photos of what you can expect! Disneybrit Radio Show Episode 207: The Biggest Disneyland Paris Expansion EVER!! !